As the deep centre of the psyche that ‘wills’ us to individuate to our maximum potential. The drive from the Self is towards wholeness and realisation. It is the search to discover meaning and purpose in life; the sense of a coherence between internal and external reality; what it is that makes life worth living. Thus the objective of Self-realisation is more than clinical, but also implies questions of creativity as well as spirituality. Although the Ego needs to be in day-­‐to-­‐day control of our lives, it is nightly immersed in the wider potentials of the Self, and has to learn to negotiate a balance between the world of outer reality, with its conflicting demands, and the internal world, which is both conflicted, as well as providing the well springs of creativity which ‘bubble up’ from the Self. If the working relationship between Ego and Self (the Ego-­‐Self axis) is impaired, we experience feelings of unreality, depersonalisation, loss of meaning, etc. Jung’s name for Freud’s ‘repressed unconscious’ as well as the ‘received/receptive unconscious’ of his earlier work. The personal unconscious is particular to the individual and will contain repressed material as well as undiscovered potential. This is the personal shadow -­‐ an inevitable feature of any existence. We cannot rid the psyche of its shadow. Instead, in analytic work, we enable the shadow's integration into the psyche, thereby creating a shift in the attitude of the conscious ego. When the conscious attitude is too one-­‐sided, the opposite attitude is taken up within the personal unconscious as a balance – a process Jung refers to as compensation. Initially this may appear as a symptom. Opposite attitudes or positions within the psyche may be held in dialectic tension until a third mediatory product emerges often in the form of a symbol in dreams or in conscious awareness. This process is called the transcendent function. Just as the physical structures of our brain bear witness to our evolutionary history, so each of us carries tendencies to experience and perceive the central experiences of life in certain typical ways, sometimes referred to as archetypal images or patterns of behaviour. Jung’s theory of the collective unconscious roots each individual within a deep instinctual commonality and its collective symbols shared by all humanity. Oedipus is a familiar dramatic imaging of something archetypal related to the triangular structure of Mother, Father and Child. 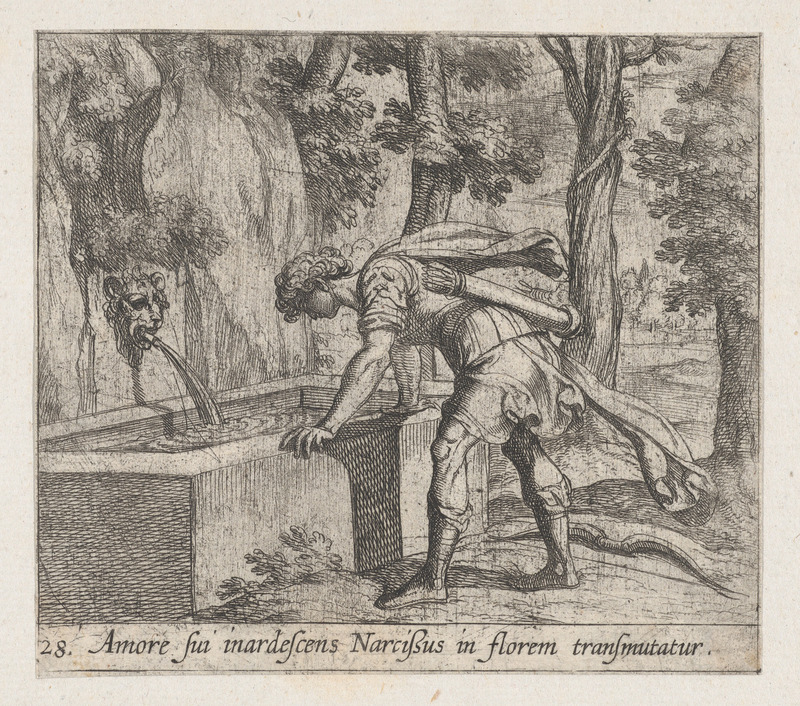 Narcissus is an image which encapsulates something of the way problems in our relation to ourselves and to others can bring isolation and death. Archetypal structures can never be known directly but only through the image, they are not essential ‘truths’ so much as potential that can be unfolded into and through the image. Whilst an image can articulate only certain aspects of the potentiality, the archetypal structures themselves are multifaceted and amoral. In Jung’s thinking, the collective unconscious is the deep psychic ‘layer’ through which we are all connected: the basis for unconscious communication. In work with symptoms, enactments, dreams, images etc, the Jungian approach is teleological rather than (or as well as) causal. This perspective considers that instinctual energy becomes available for transformation into new forms. Thus we become less interested in how a symptom or a neurosis came about, but more in what its intention might be. What is it for? Why now? What is it telling us about imbalance in the conscious attitude of the ego that is being compensated for in the unconscious? What is it then that we need to attend to? Whereas the central focus of the more classical, archetypal schools of Jungian thought is on the exploration of how the Self and the archetypal are experienced symbolically through image and dreams, the developmental school incorporates within it concepts from the psychoanalytic tradition to form a theory of the development of the personality. Whereas Jung and the classical Jungians tended to focus on the second half of life, Michael Fordham, a Jungian analyst working in London in the second half of the 20th Century, expanded the theory to include consideration of infancy and early stages of life. As a means of exploring infantile material, there is a concentration on the interaction between patient and analyst, the ‘transference’, as the means by which infantile wishes, primitive defences and other psychic mechanisms may be made explicit. The analyst’s ‘counter-­‐transference’ is the emotional experience of being with the patient which is used as a means of further understanding the transference. Helen Morgan is a Senior Member and Fellow of BJAA and a Jungian training analyst and supervisor. Her background is in therapeutic communities with adolescents and in adult mental health and now works mainly in private practice in NW London as an analyst. She also supervises in both individual and group settings. She is the author of a number of papers many of which consider the relationship of analytic thinking to wider social concerns. Christopher MacKenna is an Anglican priest and a Senior Jungian Member of the BJAA. He has published a number of papers on the relationship between psychotherapy and religious experience, most recently 'From the Numinous to the Sacred', which was awarded the Michael Fordham Prize 2009 for the most original contribution to clinical analytic thinking published in the Journal for Analytical Psychology during that year. Chris is Director of St Marylebone Healing and Counselling Centre, in London, which offers low cost professional psychoanalytical and Jungian psychotherapy.